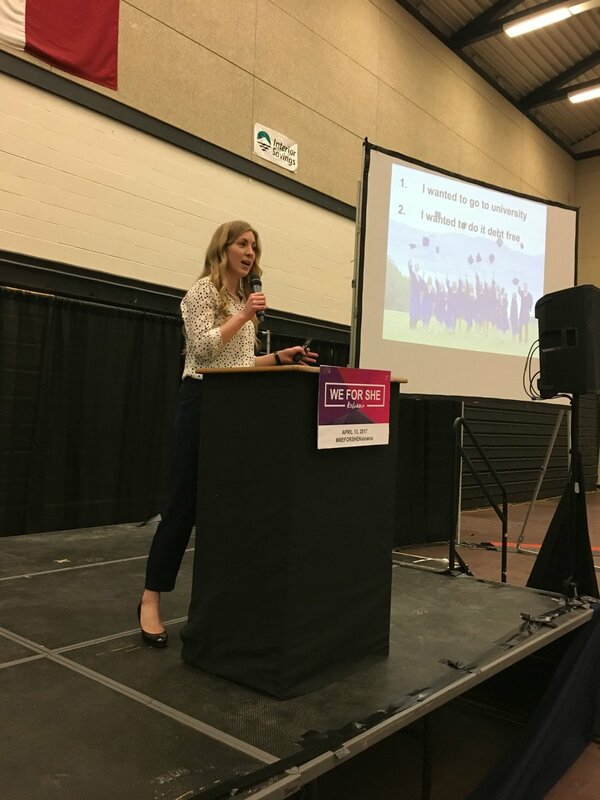 At a WE FOR SHE event, you will develop leadership skills, create connections with business leaders and learn about non-traditional careers. 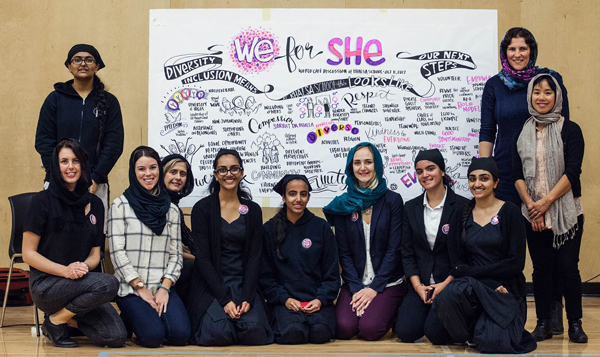 Since 2014, business leaders, women’s organizations, companies and experts have gathered in Vancouver every year at WE FOR SHE, a forum to discuss how to support women in the workplace. A major conclusion: help young women gain the skills and confidence to succeed before they even start their careers! WE FOR SHE school events are meant to do just that – help young women step up, imagine a more diverse workplace and hear from successful women who are leading the way. Create a WE FOR SHE experience in your community! You can choose to host a Full Day conference or a Half Day conference. When you sign up to host a WE FOR SHE Event, you get access to a complete toolkit that will guide you through every step of the event planning process! The toolkit is designed so an extra-curricular club or student committee can execute the event with help from a teacher or administrator. You’re provided with tools and support throughout the planning process and learn project management skills while you make valuable community contacts. Like what you see? Contact us for more information about hosting your own event and accessing the full toolkit! For this toolkit, we have split the planning tasks into eight key teams or roles. 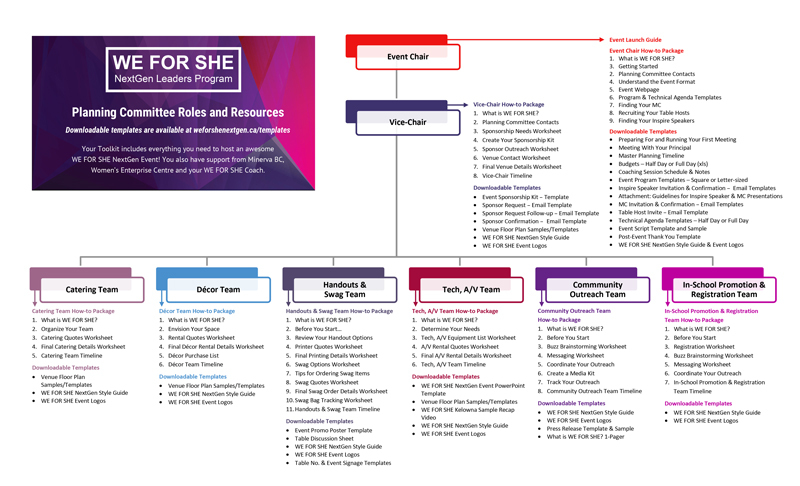 This chart gives you an overview of the different roles and the planning resources available for each team. 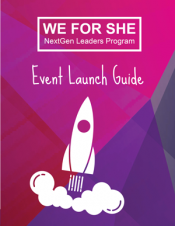 The Launch Guide includes background on the WE FOR SHE movement, your first steps to start planning your event and descriptions of each planning committee role so you can recruit your team! Every team gets a how-to package that includes a team timeline, worksheets, email and design templates and more! Your school will be responsible for covering all other event costs. You may choose to fundraise, sell tickets, or seek sponsorship and donations. Your event planning coaching sessions will include conversations about budget so that you can make good decisions about the size and scope of your event. 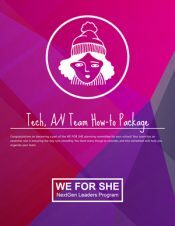 What Does a WE FOR SHE Event Include? WE FOR SHE NextGen events include opportunities to engage with successful women who are leading the way. You will develop relationships with the business community and get excited about your career options! Our Mentor and Community Connector can help you recruit and select appropriate mentors for your initiative. If you hold leadership mentoring sessions first, your guest mentors could be great options for table hosts and speakers. WE FOR SHE NextGen events include up to three workshops of your choosing, developed and delivered by Minerva and Women’s Enterprise Centre. Half-day events include two workshops, one from each organization. Full-day events include both workshops presented by Minerva and one workshop from Women’s Enterprise Centre. Did you know that 60% of Canadians who say they are “very confident” had a mentor in their youth? In this session you will hear real stories from successful leaders about the impact of mentorship on their lives. Following the panel presentation, you will engage in lively discussion with other students, business leaders and mentors. Research proves that people are happier and more successful when they focus on what they do best. This workshop will introduce you to a strengths-based approach which you can apply to school, activities, and future career decisions. Through hands-on activities and discussion, you will identify your unique strengths, and come away with ideas on how to continue to grow and develop your strengths. People are diverse in a number of ways, not just in ways we can see. What assumptions and conclusions do you jump to without thinking? This is “unconscious bias.” We live in a world of diversity, and bias matters when people are excluded or treated unfairly based on things like the colour of their skin, gender, age, or wealth. In this interactive workshop, we’ll discover how you can battle bias to help build inclusive schools, workplaces and society that honours diversity. Be inspired by storytellers who share their encounters with unconscious bias and what they did to battle it. What will you be known for in 2037? Will you own a successful business? Be a leader in your community? Will an invention of yours be saving the world? Cultivating entrepreneurial skills and mindset will prepare you for any path you choose. An entrepreneurial mindset gives you the ability to see opportunities, gather resources and create value. This workshop session will help you understand the traits and skills you can develop to make your impact and drive your success wherever your career leads you. Our storytellers will share how tapping into their entrepreneurial mindset helped them start and grow their business. 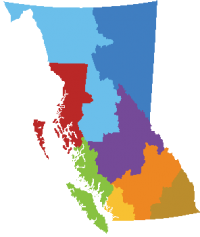 Thanks to funding from the Province of BC, the NextGen Leaders Program can support WE FOR SHE events in each of BC’s eight regions during the 2017/18 school year: Mainland/Southwest, Vancouver Island/Coast, Kootenay, Thompson-Okanagan, Cariboo, Northeast and North Coast & Nechako. Sounds great! I’d like more information. 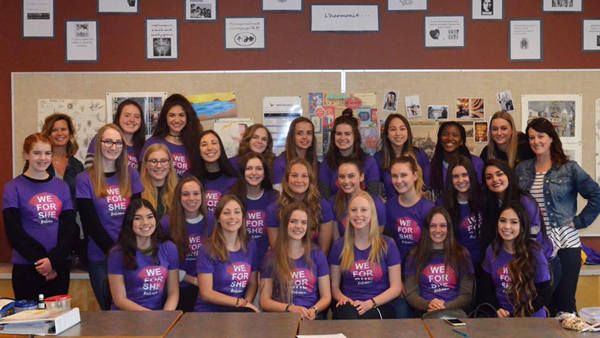 Learn more about how you can host a WE FOR SHE event at your school. 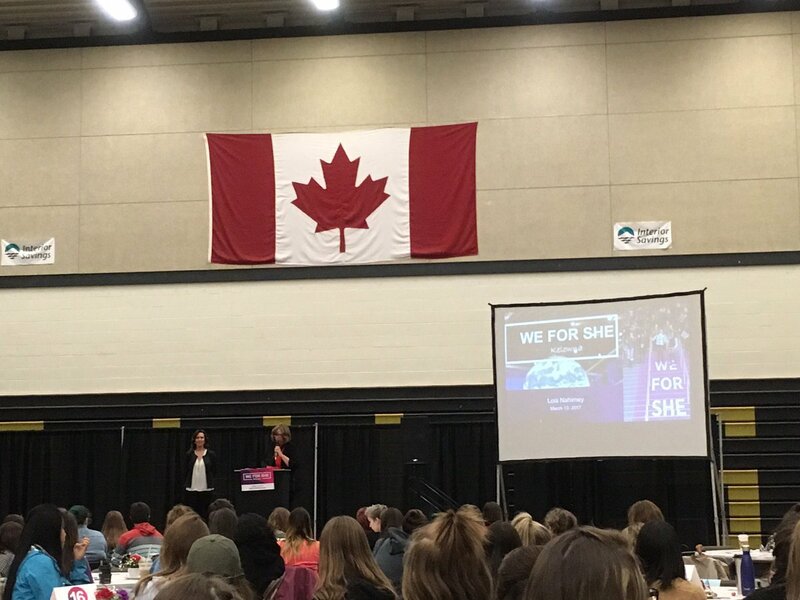 WE FOR SHE NextGen events are modeled after the WE FOR SHE Forum, which is held in Vancouver. Now in its fourth year, the forum focuses on top issues facing gender equality. 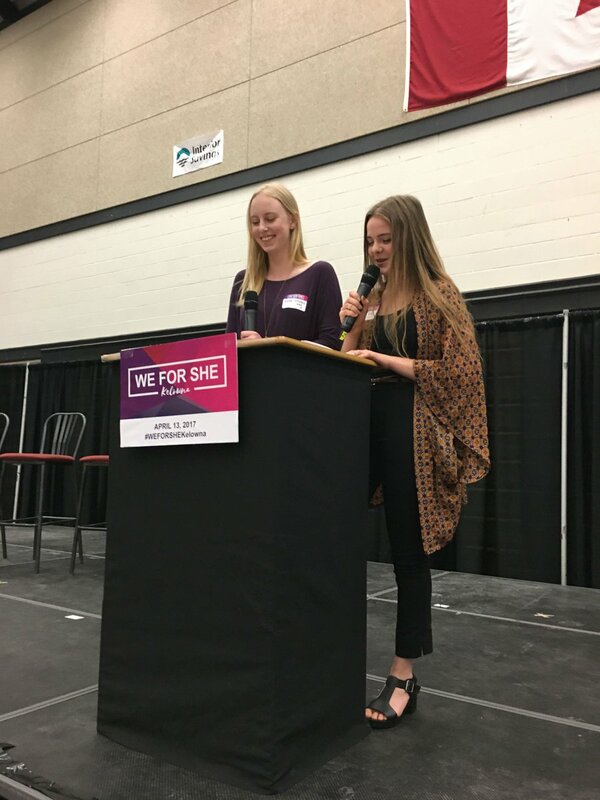 In April 2017, the Kelowna Secondary School Global Awareness Club hosted the first WE FOR SHE NextGen event for over 300 students from five high schools in SD23, the Central Okanagan School District. 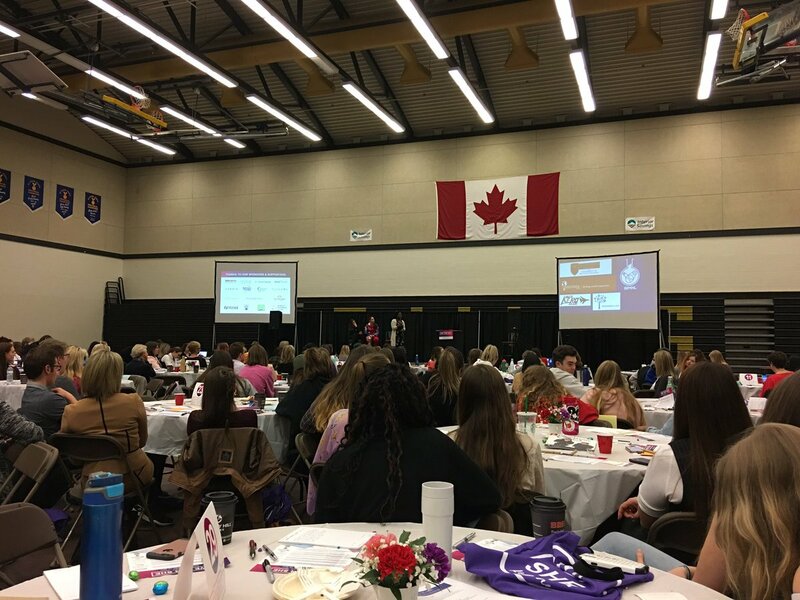 Speakers included representatives from some of the biggest names in gender diversity, such as Catalyst Canada. 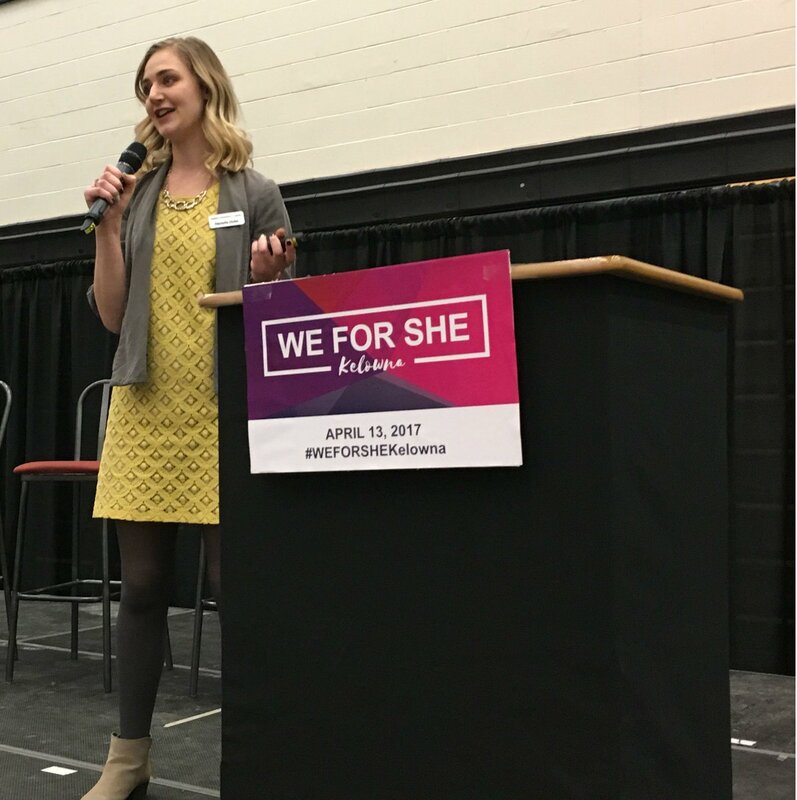 The WE FOR SHE 2016 Event Summary shares some key points made by speakers, panels and attendees at the event. 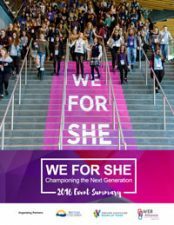 In October 2016, more than 1,500 business leaders and young women in grades 10-12 came together in Vancouver for WE FOR SHE: Championing the Next Generation, a day-long conference hosted by the Greater Vancouver Board of Trade (GVBOT), the WEB Alliance of Women’s Business Networks and the Province of BC. Their focus: how to support women in the workplace and inspire young women to be bold in their careers. This was one of the largest collaborations of women’s organizations, companies, experts, business leaders, advocates and young women in North America. WE FOR SHE satellite events are based on the same model to make sure the important momentum continues.